You’re reading this, so you obviously already know a little about me, as well as my blog and business. However, there are many more thousands who do not yet know about what I can offer them. It may be the same with you, and even if you already have a big business, there’s always room for more people to learn about you, right? 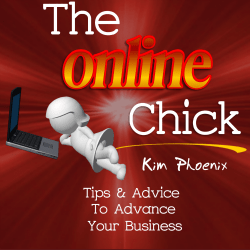 This is where guest blogging can help your business! (it has some great ideas on CREATIVE uses of PLR that you may not have thought about). By writing quality posts for other people’s blogs, you can get yourself in front of a whole new audience. If you guest blog on established ones with large, targeted readerships, you can also attract new people to your own blog and/or business. By making sure you have an opt-in box on your website, you can also build your list (Valuable Hint: Use PLR (Private Label Rights) to create a great offer to encourage people to opt in ;). This may not occur immediately, however if new people find about you and you develop a good relationship with them, they are more likely to do business with you in the future. Simply associating yourself with other people in the same industry, allows others to get to know who you are. If you can prove that you know what you are talking about, as well as help others with your knowledge and/or products, then you will start to earn the respect of others. When others in your industry get to know you and like what you offer, they will also recommend you to more people. This all results in more traffic and more profit. When I was creating niche blogs, I spent a lot of my time creating backlinks through submissions to article directories, trading reciprocal links, and so much more! That, in itself, can become a full-time job, especially when trying to keep one step ahead of Google and its constant algorithm changes. Now, I just focus on adding quality content to my websites, without getting all caught up in the latest and greatest SEO tactics. Instead, I work on establishing backlinks in a more natural way. 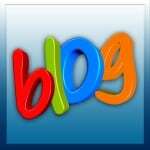 Guest blogging is one way to develop some quality backlinks, in addition to the other advantages previously mentioned.